Kipper Nichols connects on a three-point attempt in front of a largely empty United Center, Wednesday December 5 in Chicago. 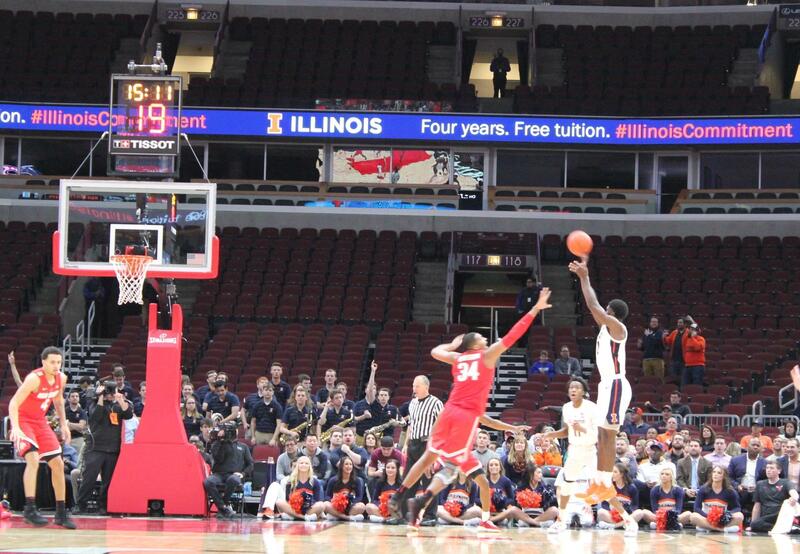 Everything that could go wrong did go wrong in the Illini men's annual basketball game at the United Center in Chicago. First, only a few thousand fans showed up for a Big Ten game versus Ohio State. The announced crowd of just over five-thousand fills just over a quarter of the available seats. 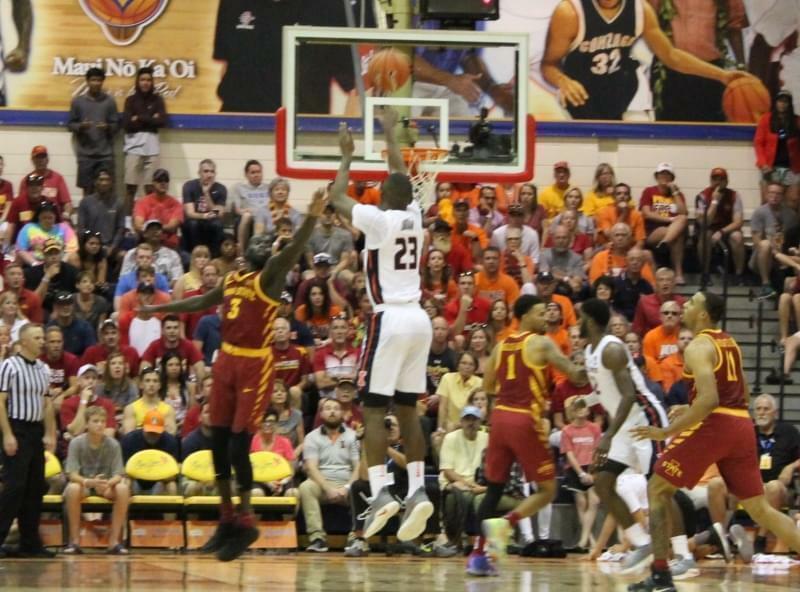 Second, the Buckeyes won the game 77-67. 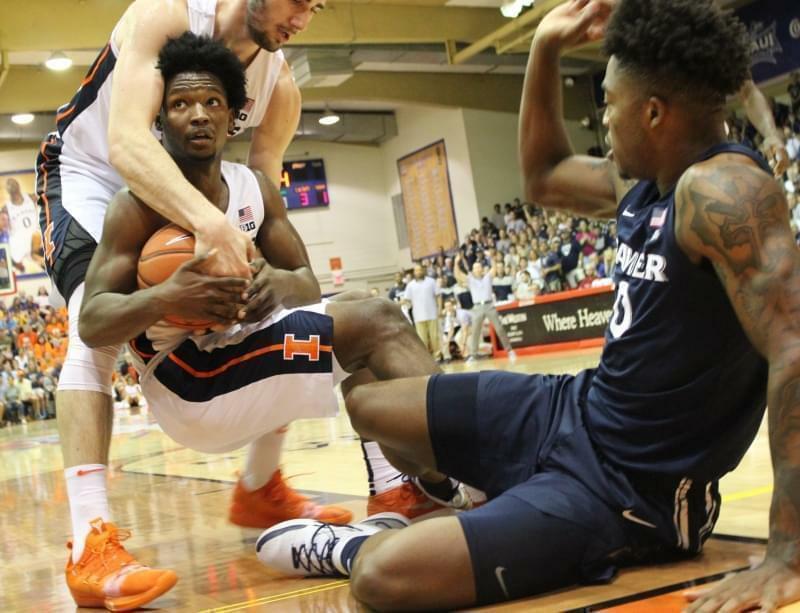 Third, point guard Trent Frazier collapsed to the floor after a hard foul in the closing minutes. Head coach Brad Underwood said he feared the worst before Frazier made a miraculous return. When Frazier returned in the final seconds, he fouled out. 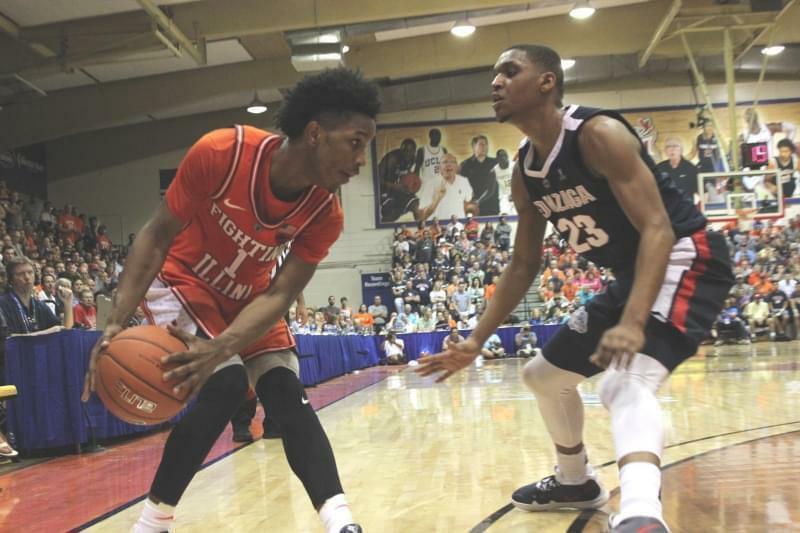 Overall, the Illini committed 26 fouls and the Buckeyes 23. Giorgi Bezhanishvili also fouled out, while Kipper Nichols and Da'Monte Williams finished the game with four fouls apiece. Underwood resisted questions seeking comment on the officiating, which can elicit fines of $10,000 from the Big Ten conference. Nichols and Frazier shared game-high scoring honors with Ohio State's Keyshawn Woods, each tallying 18 points. Kaleb Wesson added 13 points and a game-high 7 rebounds for the Buckeyes. Ohio State grabbed 38 rebounds to Illinois' 34. 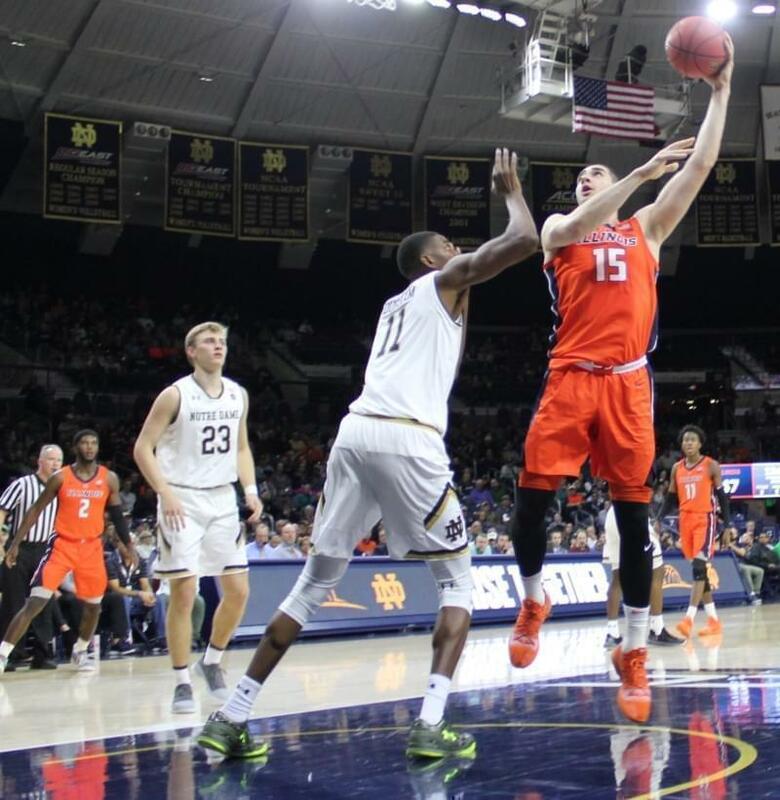 Illinois shot 33 percent from the floor to OSU's 47 percent. The Buckeyes committed 19 turnovers, and Illinois 14. 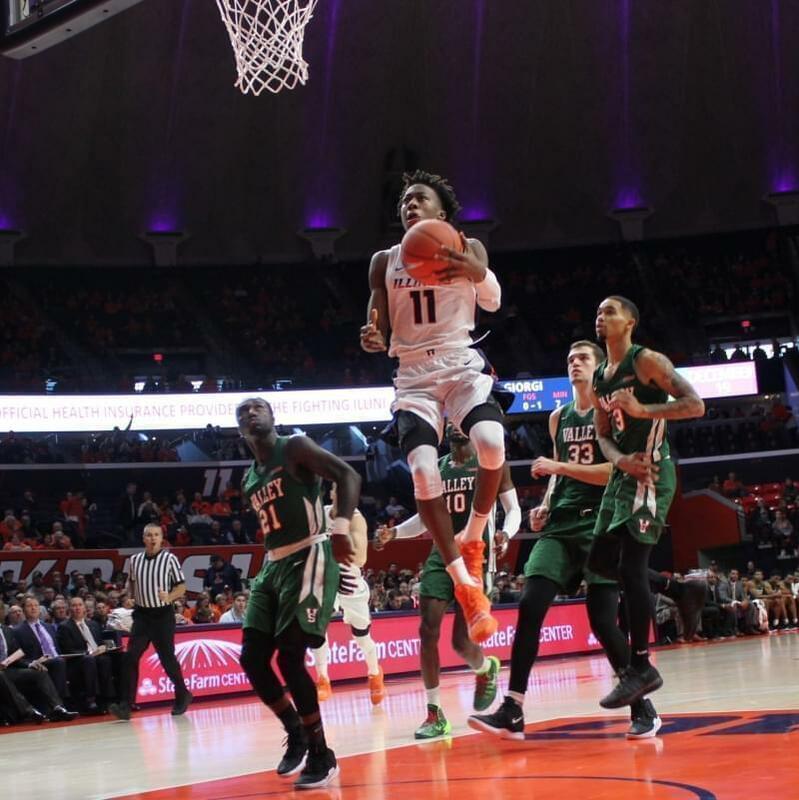 Ayo Dosunmu shot 1-of-9 from the field for Illinois, while fellow point guard Andres Feliz converted just 1-of-6 shots for the Illini. The Buckeyes improve to 8-1 on the year, 2-0 in league play. Illinois now stands at 2-7 overall, 0-2 in the Big Ten. 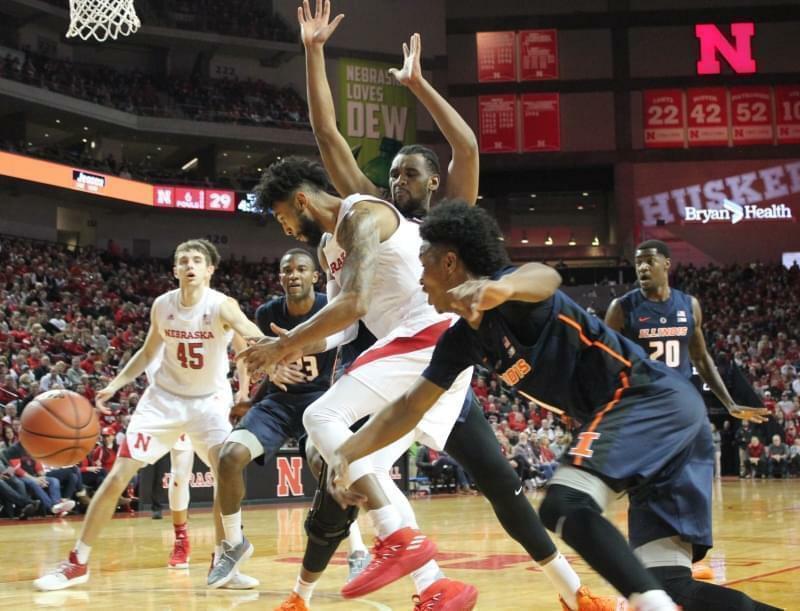 The Illini return to non-conference play this Saturday when they host UNLV at State Farm Center.